Published on December 5, 2018 at 12:00 am . 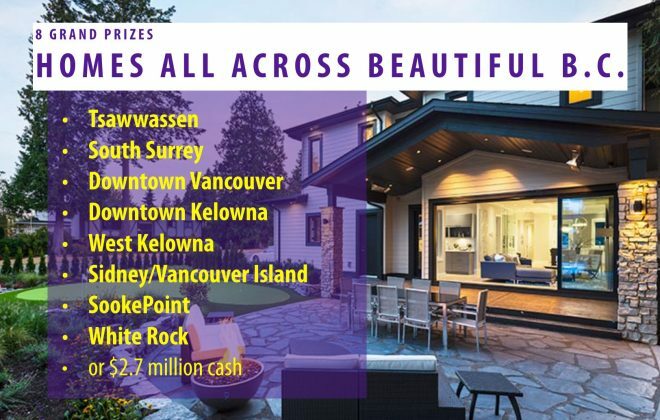 A ticket to the VGH Millionaire Lottery makes a great stocking stuffer – and who wouldn’t want to win big for Christmas?! Get in today to win a prize worth over $40,000. Not only that, but you could become a multi-millionaire in the New Year! 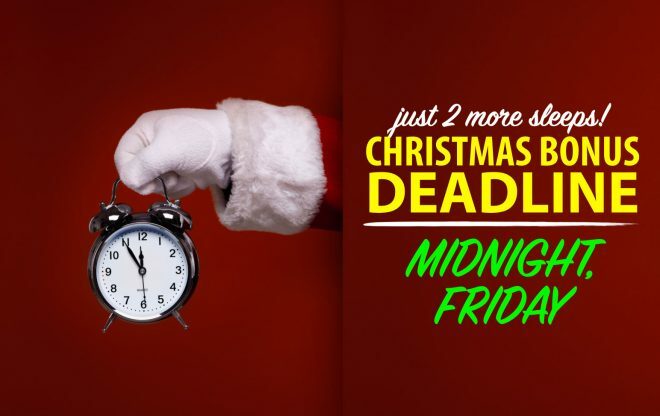 The Christmas Bonus Deadline is Midnight, Friday! When you buy early, you can win more – your tickets will be automatically entered into the $40,000 Christmas Bonus Draw, the $200,000 Early Bird Draw and the $3.2 million Grand Prize Draw, too. The Christmas Bonus winner will choose a $40,000 Travel package from Carlson Wagonlit or $33,000 tax-free Cash. You win, you choose! Take the vacations and hit the beach, travel to Europe, or whisk your family away on an adventure you’ll never forget… or beef up your bank account with a ton of cash, and spend it or save it or invest it however you want. or at any London Drugs in British Columbia.